The Colorado Avalanche head to Scotiabank Saddledome to take on the Calgary Flames on Saturday, February 24, 2018. The opening line for this contest has the Avalanche at +113 and the Flames at -125. Colorado has a record of 32-23-5 this year and away from home they have a record of 12-15-4-1. They are 6th in the Central Division. They have tallied 186 goals and surrendered 180 goals for a point differential of +6. For the year they have an ATS mark of 32-28-0 and an over/under record of 32-25-0. Calgary has a record of 31-22-9 including 13-14-4-1 on home ice this year. They are 5th in the Pacific Division. They've scored 177 goals and have given up 184 for a goal differential of -7. Their record against the spread is 31-31-0 while their over/under mark is 30-31-0. Mikko Rantanen has scored 56 total points this year for the Avalanche. He has 19 goals this season with 132 shots on net, giving him a shooting percentage of 14%. He has a total of 37 assists on the year and averages 18.6 minutes played per contest. 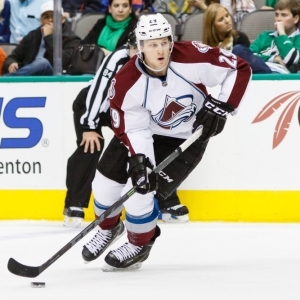 Nathan MacKinnon averages 19.5 minutes of ice time per game this season. In that time he has a shooting percentage of 14% by tallying 25 goals on 178 attempts. He has 40 assists, giving him a total of 65 points on the year. Semyon Varlamov has 15 wins and 12 losses this season in goal for the Avalanche. He has 1,056 shots against him and he's surrendered 92 goals. He's made 964 stops for a save percentage of 91%. Sean Monahan has 57 total points this season for the Flames. He has 28 goals this year with 163 shots on goal, giving him a shooting percentage of 17%. He has a total of 29 assists on the year and averages 18.7 minutes played per contest. Johnny Gaudreau averages 19.5 minutes of ice time per contest. In that time he has a shooting percentage of 11% by scoring 20 goals on 180 attempts. He has 53 assists, giving him a total of 73 points on the year. Mike Smith has 23 wins and 16 losses this season in net for the Flames. He has 1,477 shots against him and he's given up 116 goals. He's made 1,361 saves for a save percentage of 92%. The Avalanche have 69 total points this year, which is 18th in the NHL. They've scored 186 goals while giving up 180 scores, which has them ranked 10th and 14th respectively. They have had 223 power play chances and scored 45 goals on those opportunities for a percentage of 20%. That is 15th in the league. The Avalanche have given up 209 power play opportunities and surrendered 35 goals on those chances for a penalty kill percentage of 83%, ranking them 3rd when short-handed. They average 30 shots per contest and as a team shoot 10.50% for the year. They allow 33 shot attempts to their opposition per game and have a team save percentage of 91%, which is 16th in the league. The Flames are 15th in the league with a total of 71 points this season. They have 39 power play goals on 211 chances for a percentage of 18%. That is 23rd in the NHL. They've given up 208 power play opportunities and surrendered 42 goals on those chances for a penalty kill percentage of 80%, ranking 17th overall. As a team, the Flames are 16th with a total of 177 goals scored while they've given up 184 goals this season, ranking 11th in goals against. They average 33 shots per game and have a team shooting percentage of 8.70%. As a unit they give up 32 shots per contest and have a save percentage of 91%, putting them 15th overall in the NHL. Colorado has a Corsi percentage of 47.1% as they've tried 3,254 shots on goal while at full strength while they have surrendered 3,660 shots on net when they have a full team on the ice. That ranks them 28th in Corsi percentage. They are 28th in the NHL in Fenwick percentage with 46.9% as they have 2,416 shots while they've given up 2,737 attempts on defense. The Avalanche start possessions in the offensive zone 48.6% of the time while their defensive zone percentage is at 51.4% for the year. That puts them 22nd and 8th in the league in zone percentages respectively. They have 1,564 face-off wins as opposed to 2,003 losses, meaning their face-off win percentage is 43.8%. That is 31st overall in the NHL. On defense Colorado has 1,170 hits and they've blocked 923 attempts from opposing offenses, which is 11th in the league. The Flames start possessions in the offensive zone 51.6% of the time while their defensive zone percentage is at 48.4% for the year. That ranks them 10th and 21st respectively in the NHL. They have 1,903 face-off wins as opposed to 1,957 losses, meaning their face-off win percentage is 49.3%. That is 20th in the league. On defense Calgary has 1,202 hits and they've blocked 844 attempts from opposing offenses, ranking them 25th in blocked shots. Calgary is ranked 4th in Corsi percentage with 51.9% as they've tried 3,946 shots on goal while at full strength while they have surrendered 3,658 shots on net when they have a full team on the ice. Their Fenwick percentage is 11th in the NHL at 51%, as they have 2,931 shots while they've given up 2,814 attempts on defense. Who will win tonight's Avalanche/Flames NHL game against the spread?